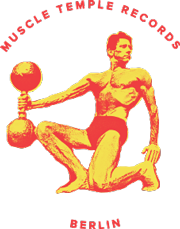 Muscle Temple Records (Muscle 001). Artwork and print by Blank Blank. Printed at Muscle Temple Lab.